This classic work chronicles how New York, London, and Tokyo became command centers for the global economy and in the process underwent a series of massive and parallel changes. 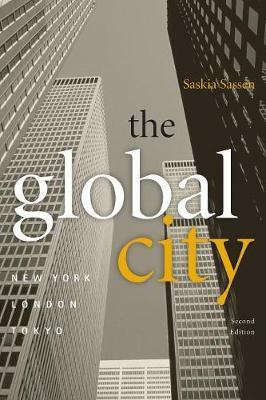 What distinguishes Sassen's theoretical framework is the emphasis on the formation of cross-border dynamics through which these cities and the growing number of other global cities begin to form strategic transnational networks. All the core data in this new edition have been updated, while the preface and epilogue discuss the relevant trends in globalization since the book originally came out in 1991. Saskia Sassen is Professor of Sociology and of the Social Sciences at the University of Chicago. Her other books include Guests and Aliens, The Mobility of Labor and Capital, Losing Control, and Globalization and Its Discontents.